Mission - Ennobling women by reshaping our view of women (and men) in accordance with the Scriptures. Vision - Reshaping the way women view themselves and the way the faith community views women, so that women are emboldened to serve Jesus fully. How - We accomplish our mission through Scripture-based teaching, training, mentoring and dialogue. 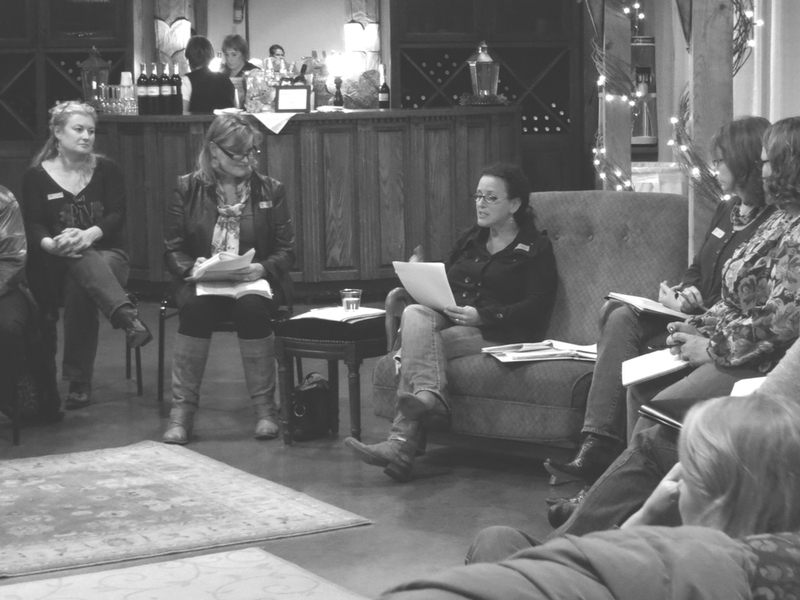 Engage with women and connect with Jesus in the casual atmosphere of your local winery. Simple. Relevant. Real. Jackie Roese is a passionate speaker with an approachable and engaging style. Book her for your next conference, retreat, or special event. Host an informed conversation about spiritual issues impacting women's lives. Tough topics. Candid conversation. Critical thinking. She Can Teach is an intimate, hands-on course designed to equip women with skills and confidence to effectively teach God's Word. Bible study materials developed by women for women are available for individuals and groups wanting to know Jesus and live like he did.